Last week we hosted our third Influencer Marketing Huddle event, gathering senior marketers from B2C, B2B and Not-for-profit brands to bounce ideas and experiences off each other, listen to brand & influencer panels, presentations & case studies and participate in practical workshop sessions where they can effectively create their strategies and outline next practical steps. The event was a resounding success without an empty seat in sight; attendees left the room with an abundance of excitement, feeling inspired and full of knowledge and ideas. Of course, nothing beats being in the room in and amongst the atmosphere, but Onalytica are all about educating and helping the industry to not just do influencer marketing, but to do it well. 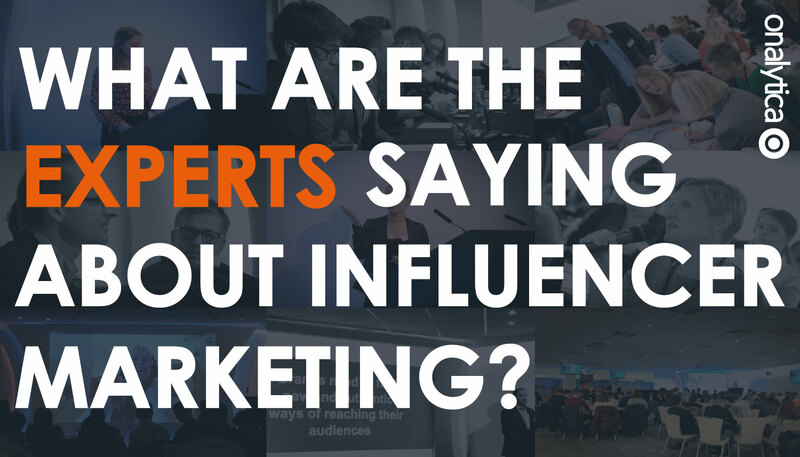 So we’re going to let you in to a few of the top tips shared with the group from the influencer marketing experts, brand experiences and the influencers themselves, around influencer best practice. From identifying influencers and engaging with them, through to measuring the success of the program. Make it easy for the influencer to contribute and be themselves. Identify influencers whose knowledge, expertise and content style are so aligned to your brand that you trust them to create some great content without too much control or guidance. If you engage with an influencer proposing an opportunity, but you’re trying to control and restrict the influencer too much, you’re not going to create a very appealing scenario for them to say yes to. Show that you value them and what they have to offer; show them that you want to work with THEM. With this said, it’s important to ensure that you do your research and approach influencers with opportunities that are aligned to their skills, expertise and content. An influencer will want to add value to both their audience and your audience without diluting their personal brand and areas of focus. Show that you understand them as an influencer and want to help them become more influential. A great way to keep the barriers low and create an appealing offer is to approach relevant influencers to contribute quotes to your branded content, as touched on by Ian Moyse, Cloud Influencer & UK Sales Director at Natterbox . It’s quick, easy and relevant to the influencer so they’re likely to say yes. More on this over on our blog post called: How to Guarantee Content Shares from Influencers. This is a really great tip when working with influencers around events. Create a community with your influencers to facilitate the influencers to build relationships not only with your brand and its employees but with other influencers too. Be the thing that influencers have in common; be the reason why they are able to connect before they even meet. You can do this by activating event hashtags prior to your events to encourage influencers, their audiences and other attendees to get engaged and get excited. Post event, keep hashtags alive, or set up Facebook/LinkedIn groups where influencers can continue to communicate, share content and discuss collaboration ideas. You can also keep influencers up-to-date with upcoming content and events that you’re hosting. 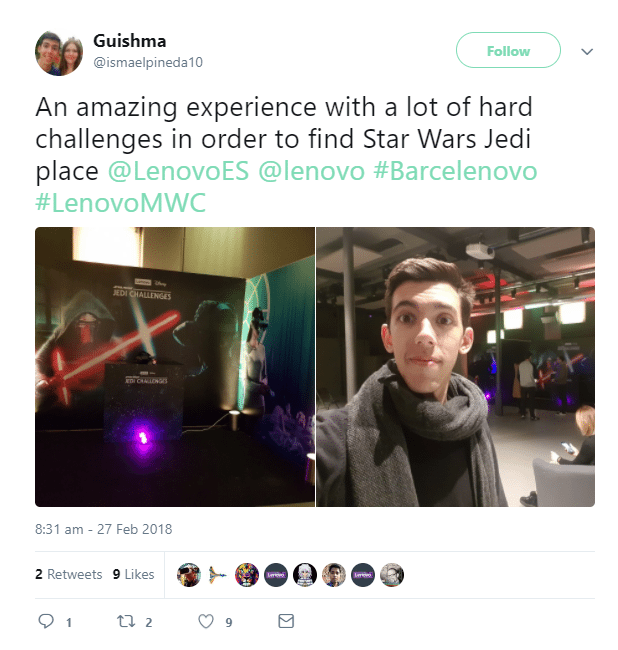 Chloe Jones, EMEA Brand Advocacy Manager at Lenovo discussed how before their #Barcelenovo event, her influencers discovers each other prior to the event through the event hashtag, so when they met in person, they already felt like they knew each other. She also set up a WhatsApp group post-event with the involved influencers, which she reported that despite the event being back in February, is still going off daily. Rather than going after the macro influencers with hundreds of thousands of followers, you instead target smaller influencers, but more of them. We understand that brands opt for what seems like the easier route of working with the larger, macro influencers in the view that their large follower numbers will give them access to a larger audience, but what proportion of that audience are actually relevant? Who’s to say that you can’t also target the same size total audience, or even more? Take the below guide with a pinch of salt as these numbers will vary depending on the topical community that you’re looking at. But bottom line is do not rule out the value in both quality and quantity that micro influencers can offer, contrary to popular belief. It is not as black and white as looking at follower numbers alone. Micro influencers’ engagement amongst their followers and with their followers also tends to be higher and of much higher quality. Micro influencers are also far easier to engage and work with organically compared to macro influencers, so can be far more cost-effective. Work with the up-and-coming influencers; the influencers that are gaining attention but still growing and gaining a voice within the industry – help them become more influential and you’re likely to have a brand advocate for life. There’s more to influencers than their follower numbers, said Spiros Margaris, Global Fintech Influencer – work with them for the knowledge, skill and insights too. It’s important to understand that there is no one size fits all strategy for influencer marketing. Your approaches are likely to differ according to your different markets and locations. Focus on your key markets first where your budgets and product launches are, get them right, and then implement best practices learnt from those markets into other markets – making adjustments where necessary to make the strategy more appropriate. To this point, if there are other teams that have worked with influencers before, approach them for advice and guidance. Whether this be different locations or sectors, or even your PR, or Insights teams – understand their skill sets and experience and utilise them – as highlighted by Konstanze Alex, Leading Corporate Social & University Influencer Relations at Dell. Contrary to what many think, influencers love things that money can’t buy – said by an influencer them-self in the audience. If you can get an influencer in a room with other influencers, and give them experiences, photos and content that they can share with their audience to increase their influence, they will go for it. A cheque only lasts so long, but memories and experiences last forever. More on this in a blog post here on whether you need to pay influencers. There are so many potential things that you can measure, but it’s important to keep it simple when starting out. Pick a key unit of measurement and stick to it. 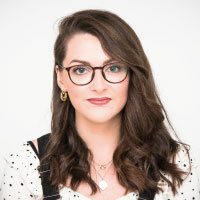 If you’re in the earlier stages of your program, focus on measuring your outputs versus inputs – such as how many outbound engagements you’re making to influencers and how many you’re getting back from them – Liza Hicks, Digital Marketing & Social Media Team Leader at IBM highlighted this as their focus when in the earlier stages of their programs. While outlining your objectives and ideal outcomes at the beginning is extremely important to create your strategy, you cannot expect to achieve these things straight away. When it comes to identifying and ranking influencers, there are so many units of measurement that ultimately quantify just how influential a person is – but can you simplify this internally into something that senior managers will understand? For example, Ryan Visser, Head of Social Media at VMware, explained how they do not go into the detail of an influencer’s reach, relevance, resonance and reference scores, but instead have a universal internal unit of measurement that everyone can understand – the ‘influencer index’. Marketers are really guilty of tracking, recording and analysing anything and everything in spreadsheets. Now we’re not saying get rid of Microsoft Excel on your computer and never use it again, but try not to rely on them so much. Influencer marketing is relationship-based, so keeping tabs of influencers’ hobbies and interests in a spreadsheet (albeit efficient) defeats the point. Take the time to really get to know your influencers; meet them when you can as building rapport and getting to know them as a person is far easier to do face-to-face. Chris Richards, Global Marketing Manager at Rise, created by Barclays, summed this up perfectly – do you have a spreadsheet of all your friends’ hobbies and interests? View influencers the same way. Elizabeth Lumley, Fintech Influencer, stresses the important that brands should approach influencers as people, not campaigns. Influencer marketing is all about building relationships so do not approach them in a way that resembles a business transaction; tailor your engagement approach to each influencer. Do your research – understand them, what they do, the topics they care about and gauge their personality. Approach them with ideas that show you’ve taken the time to get to know them and appreciate the work they do as an influencer. More on this in our blog post called Influencers are people, not campaigns. When starting out, there are so many quick-wins that are possible; you don’t have to create a whole new strategy with lots of collaboration ideas. Think about your opportunity calendar – i.e. what have you got coming up? Content – have you got any upcoming content that you can approach influencers to contribute a quote to or collaborate on? Product – are launching any new products or making any product changes where you can get the influencer involved in the development or promotion/launches? Events – do you have any upcoming events where you can invite influencers to be a guest or to present? Are you attending any events that your influencers are also attending? Of course, you’re doing this to achieve your business outcomes, but move away from a totally brand-centric mind-set. Work with influencers to add value to the industry and to the wider influencer network. Listen to the wider influencer community to understand what the hot topics are right now in your industry. Collaborate with influencer experts to create some great content that is going to help and educate the industry. This may seem like such an obvious point but it’s something that many brands do not do. Before identifying and choosing the influencers you want to work with, make sure you define who it is you’re wanting to reach and where you want to reach them. Each audience will have different a type(s) of influencer that influence them, different content types that they enjoy, and different social media platforms that they engage on. Not only can you leverage other teams’ experience and skills that have previously done influencer marketing before, but you can share success and good examples internally to increase buy in from your senior managers and other teams. Internal awareness and communication also helps to keep everyone in the loop of who your influencers and brand advocates are so they too can leverage them. For example, if another team has an upcoming event with some free tickets, you can invite your influencers along. If you would like us to share some more of the content from the event with you, please get in touch by clicking the button below.